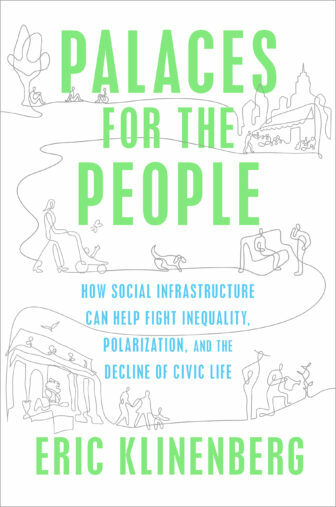 Our featured speaker is Eric Klinenberg, author of Palaces for the People: How Social Infrastructure Can Help Fight Inequality, Polarization, and the Decline of Civic Life. A reception and book signing will follow. Books will be available for purchase courtesy of Barrett Bookstore. Prior to Eric’s presentation, learn about the year’s developments from Kevin Gasvoda, president of the board. Election of officers and new trustee nominations for the 2018-19 year will be held. Public institutions such as libraries, schools, playgrounds, parks, athletic fields, and swimming pools are all vital parts of social infrastructure. So are churches and synagogues, flea markets, and corner diners. Places where people can gather and linger encourage the formation of social bonds and promote interaction across group lines. And if our democracy is going to thrive, we need more of them. Investing in social infrastructure is just as urgent as investing in conventional hard infrastructure such as bridges, levees, and airports. Often, we can strengthen both simultaneously, establishing vital social arteries that are also “palaces for the people,” to borrow the phrase Andrew Carnegie used to describe the 2,800 grand libraries that he built around the world. “This fantastic book reminds us that democracy is fortified and enlivened by people coexisting together in public, and that good design and support of a wide variety of public spaces can produce those mysterious things we call community, membership, a sense of belonging, a place, maybe a polity. Eric Klinenberg is a professor of sociology and the director of the Institute for Public Knowledge at New York University. He’s the coauthor of the #1 New York Times bestseller Modern Romance. Klinenberg’s previous books include Going Solo: The Extraordinary Rise and Surprising Appeal of Living Alone, Heat Wave: A Social Autopsy of Disaster in Chicago, and Fighting for Air: The Battle to Control America’s Media. 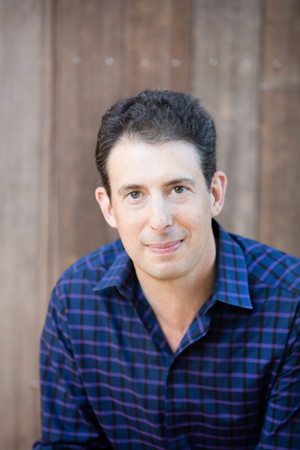 In addition to his books and scholarly articles, Klinenberg has contributed to The New Yorker, The New York Times Magazine, Rolling Stone, Wired, and This American Life. Kyle Cassidy, author and photographer of This is What a Librarian Looks Like, will be the featured speaker at Friends of the Darien Library's annual meeting on Saturday, Oct. 21.